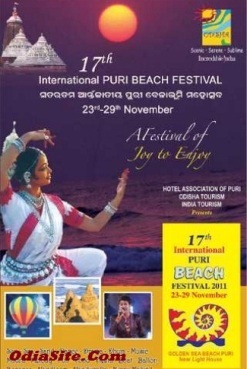 Puri Beach Festival is celebrated annually in early November, in Puri. Odishaan handy craft, Sand art,Odisha cuisine and cultural evenings are the highlights of the Puri Beach Festival. The festival is being organised by the Hotel and Restaurant Association of Orissa,Odisha Tourism and in association with India Tourism.